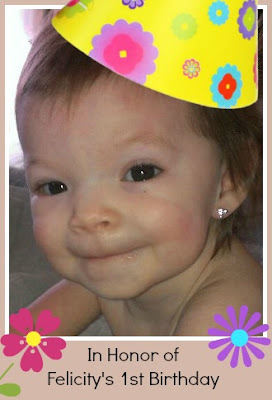 Felicity -- the precious daughter of a dear scrapping friend, Shawnee -- has turned one, and in her honor Shawnee has organized the "Be A Blessing Blog Hop". What a wonderful way to celebrate the life of this darling baby! Felicity, the youngest of 10 children, has special needs and so her first year has been a challenging one for her and her family. Yet every day, Felicity has brought smiles to her family, doctor and therapists who work with her to help her live her life fully and with joy. 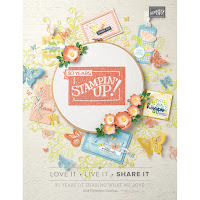 The purpose of this blog hop is to have crafters -- and that includes YOU! -- "Be a Blessing" to those around you, bring a smile with your touch of humanity. Perhaps you might make a card for a neighbor in need, or bring cookies to a shut-in? Whatever it is, join us today ... and make it a habit. 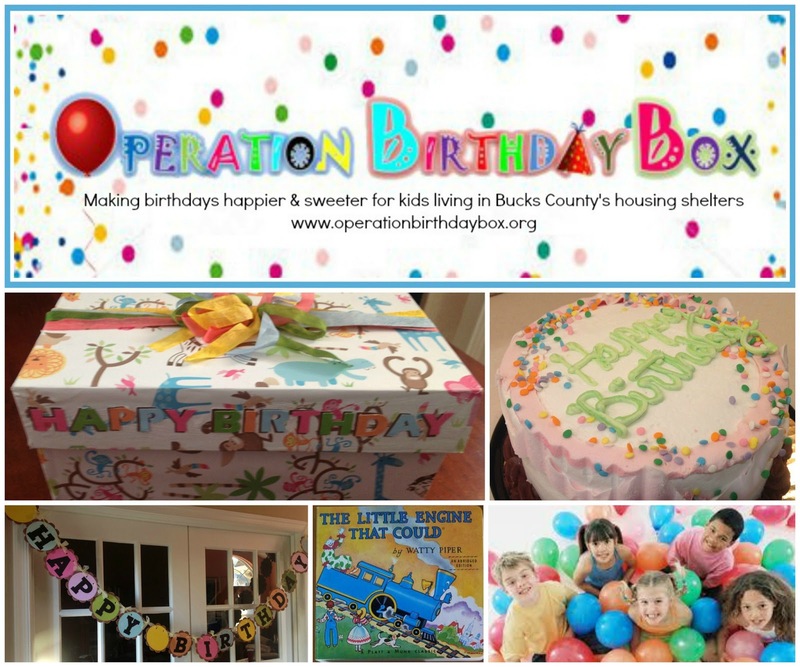 For my project today, and my ongoing commitment, I have volunteered with Operation Birthday Box, a local organization that provides a box of birthday goodies to children living in shelters. For this month, I have decorated a gift box and have made a party banner (shown above). Gift boxes prepared by the OBB are loaded with goodies purchased by the volunteers (like that at right) or by the OBB Founder's daughters, Jonna and Eva. bakery. OBB has just started this month. They're hoping that with time and continued generosity of individuals and businesses, more children can be served in our local community. 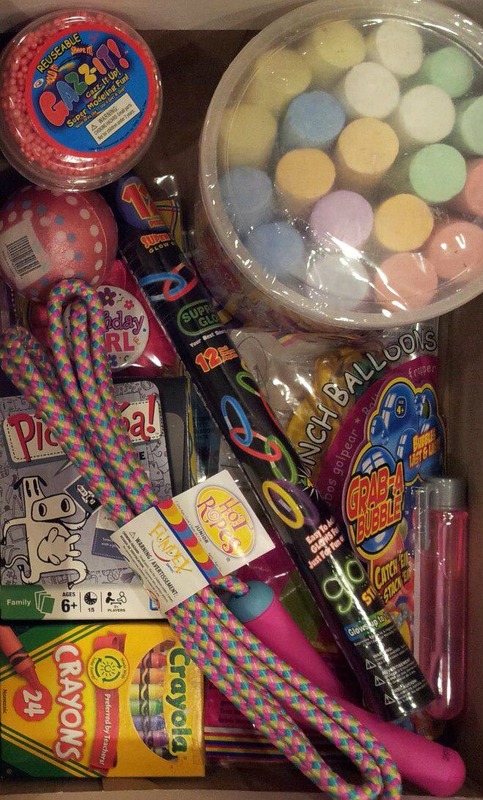 Update: I've spoken to the wonderful and enthusiastic founder of Operation Birthday Box, Christa Nielsen, to get a drop-off/mailing address for this month's box. I hope to be of service to her organization in the future, helping in any way I can and/or is needed to serve our community's less fortunate children. Other volunteers are always welcome -- at OBB or in a similar organization in your own community. Please help! The cake I bought and show in this picture will be given today to another birthday girl -- my dogs' groomer, Mindy! I'm sure it will make her Smile, too! Incidentally, Mindy herself is a warm and generous soul who not only makes my two Bichons look their best, but she gives generously of herself to make others look great, too. See this gorgeous, long hair of Mindy's at the picture, above left, (shown with her niece, Juliana)? Today, when I had my dogs groomed and dropped off the cake, I noticed Mindy has a cute, short bob now. Mindy told me that she'd shorn off 12" just yesterday for Locks of Love -- "I had fun! I hope someone can use it," she said. 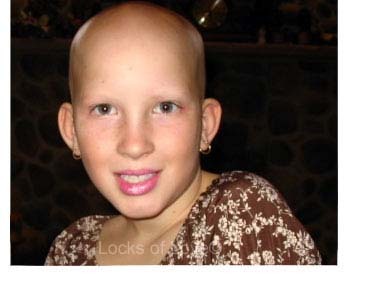 Locks of Love, a national nonprofit organization, takes donated human hair and crafts it into beautiful hairpieces for disadvantaged children suffering from long-term medical hair loss from any diagnosis (e.g., alopecia areata). The prostheses provided by Locks of Love help restore a child's self-esteem and confidence. It is my honor to know such beautiful people as Mindy, Felicity and Shawnee! OK, now that I hope I've inspired you to "Be A Blessing" by sharing your talent. 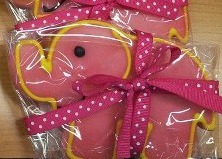 Please do leave a little comment/love below for a chance to win blog candy. Felicity's Mom Shawnee will be giving some out, and more has been donated. For an extra chance at the Candy, do a good deed (or "Mitzvah"), and Tweet or post on Facebook about it. Sounds like a great organization! So thoughtful of you and your projects for them look wonderful! Ellen you are truly inspiring!! I love the birthday box idea. I am sure the little girl who gets your box will just love it. I love that you are always giving back to those around you. Thank you for being a blessing and for encouraging others to do the same. Your projects are inspiring and make so many people including me smile. Thank you for joining me as part of this very special hop today. WOW!!! 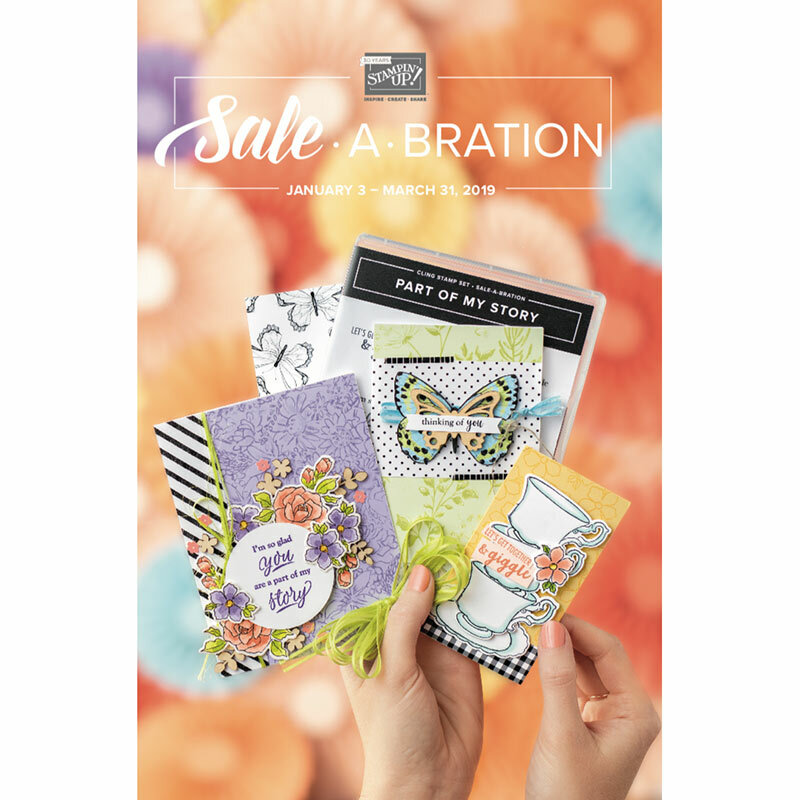 I love what you are doing for OBB!!! Please share information - can I make banners to send?? Can we have special hops for these??? What a very special gift for the children in shelters!!! Warms my heart!! I also love the locks for love piece you shared! I know a little girl battling leukemia and she has just about lost her hair. 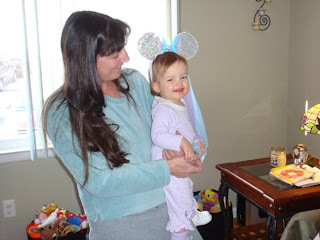 She is the same age as my youngest son, and she is a cousin of one of my daycare families. Such a strong girl, but will look much cuter with some more hair!! How sweet is that. It would be nice to have something like that in anywhere. Such an nice things. :) Loved the banner too. Thank you for sharing Operation Birthday Box with your readers, Ellen! I truly appreciate it, and I look forward to working with you! What an inspiration. I want to see if our community does anything like the Birthday box. It sure feels good to bless others. Thanks for sharing. Ellen: Great banner & box! We will have to check out & see if there is an organization in our area; we do miss making banners! It was nice to participate in the hop with you & bless others! You are such a wonderful person Ellen, What a great way to be a blessing. I am so blessed to call you my friend. I love you! Your post is such an inspiration to me! I want to check into OBB more. Sounds like an amazing company!! !Thanks for sharing.